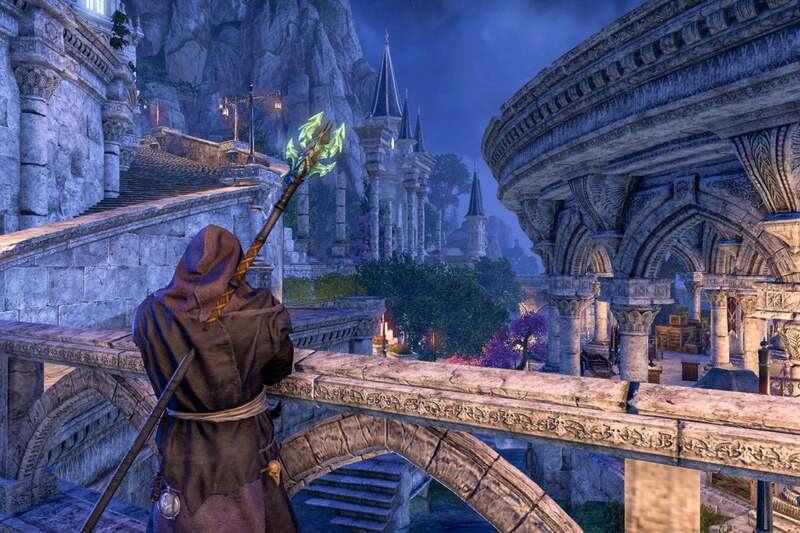 The Elder Scrolls MMORPG makes its first big break with nostalgia and comes out fine. The first chap I meet in the Summerset Isles is an elf with a Sean Penn face who gripes about how he’s missing out on a wine tasting because some local Wood Elves “offed” the vintner, because of course. 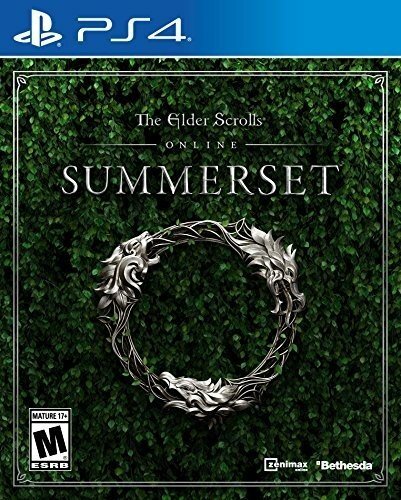 This, after all, is the closed beta for The Elder Scrolls Online’s Summerset expansion ($40 on Amazon), which whisks us off to the ancestral homes of the High Elves, a magical land crammed with haughty wizards, Neuschwanstein-like villas, and flora that likely would have been at home in Eden. Whatever. This dude just wants his wine, and I can appreciate that. 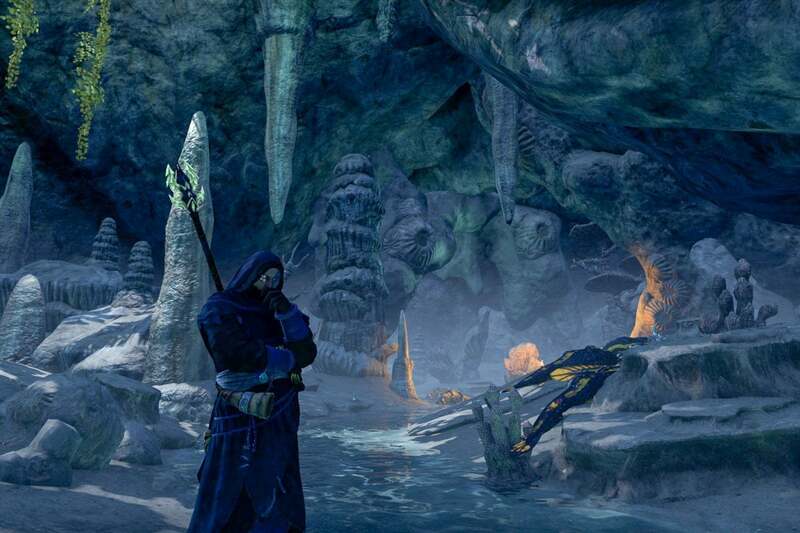 The Elder Scrolls Online excels at this kind of thing. 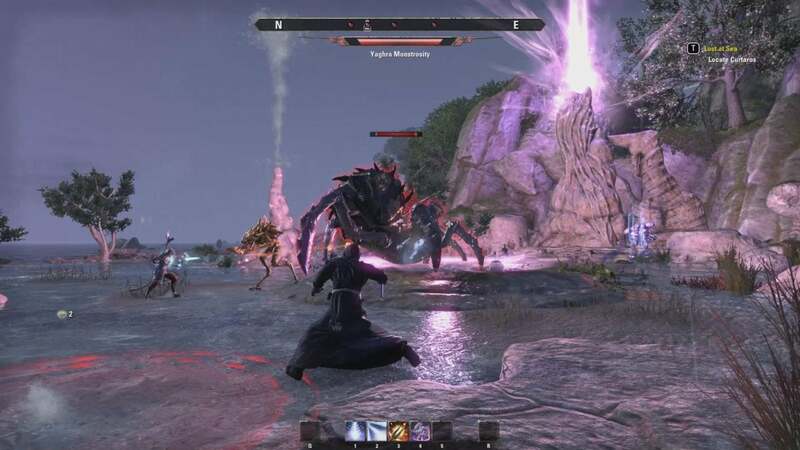 ZeniMax Online’s game may be crawling with elves and the occasional grumpy orc, but no other MMORPG feels quite so human. That’s not to say that other MMOs like Final Fantasy XIV and Star Wars: The Old Republic don’t spin a good yarn, but they’re more concerned with high drama and the oh-so-important Fate of the World. I don't know about you, but I wear robes for the leg room. Ever since Elder Scrolls Online did away with traditional MMO levels and embraced the traditional freeform Elder Scrolls design we find in games like Skyrim, though, it’s found itself free from the need to always have a big climax to work toward. Summerset's big story is out there if you want it (although the NDA keeps me from discussing it), but Elder Scrolls Online also allows you to just drop in and live your live as a normal denizen of its surreal and fantastic world and listen to elves griping about wine. That’s one of the best things about it. Yet I admit I worried about Summerset, and in some regards I still do. 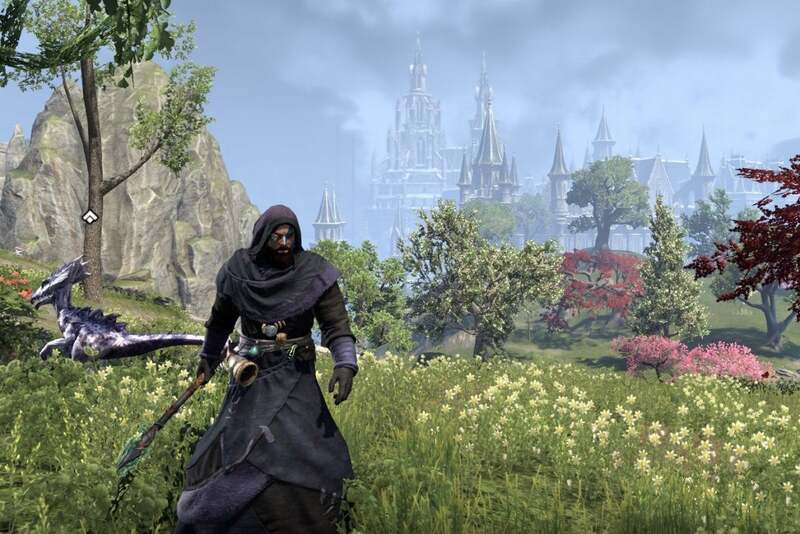 It’s Elder Scrolls Online’s second “chapter”—a fancy word for expansion—but it follows on the heels of ESO’s marvelous Morrowind, which recreated the beloved volcanic island of Vvardenfell from 2002’s The Elder Scrolls 3 ash by ash and ember by ember. The expansion was full of fascinating stories and memorable vistas, but the many comparison videos on YouTube that popped up were enough to prove that few forces pushed it to popularity quite so strongly as nostalgia. That worked at the time, as it offered initial naysayers who otherwise loved to witness how thoroughly the game has changed since the initial crop of lukewarm reviews in 2014. Vvardenfell has always been one of fantasy’s standout landscapes, for that matter: a dreamscape where mushrooms reach for the sky like redwoods and a self-made god chitchats with the locals in his ziggurat. ZeniMax would have had to really screw up for it not to be a hit. Summerset, though, is a riskier prospect. It dumps us firmly in vanilla Tolkienesque elf territory, right down to cities with names like Lillandril and Rellenthil that sound crafted specifically for eerie whispers from Cate Blanchett. There were times when I would round the corners in the lovely cities scattered about the island and I half expected to find Samwise Gamgee sobbing as Frodo prepared to grab a ship to the Undying Lands. Summerset is about purple-blossomed trees (which don’t always look as graphically pleasing as Vvardenfell’s rougher edges) and moonlight streaking through ruined Romanesque columns. The new player houses are grand and among the most beautiful I’ve seen in the game yet. Morrowind surprises and enchants with its simmering rocks and shady fungi: Summerset potentially bores with its grace. But ZeniMax wisely avoids those traps by showing us the darkness underneath; the smelly gunk beneath exquisitely painted fingernails. The elves talk about racial purity and express resentment toward the influx of newcomers rushing to the islands, and occasionally they peg tragedies on other elven brethren they deem beneath them. And if you should be an Argonian, a reptilian race? You’re barely better than an animal in their eyes. It could be heavy-handed, but the approach works in the side quests because different elves have different attitudes toward the current circumstances, and varying degrees of willingness to overcome their prejudices. In the process, ZeniMax creates a world that feels more real, and thus a rewarding single-player experience if you’re not up for grouping. Morrowind did that, too, but Morrowind was always kind of grim place. If you weren’t tiptoeing across cooling volcanic rivers, you were mucking through swamps. The Dark Elves there were unapologetic racist asshats, but you’d never mistake Vvardenfell for paradise. You might do so with Summerset, though, which makes its social commentary far more acidic. 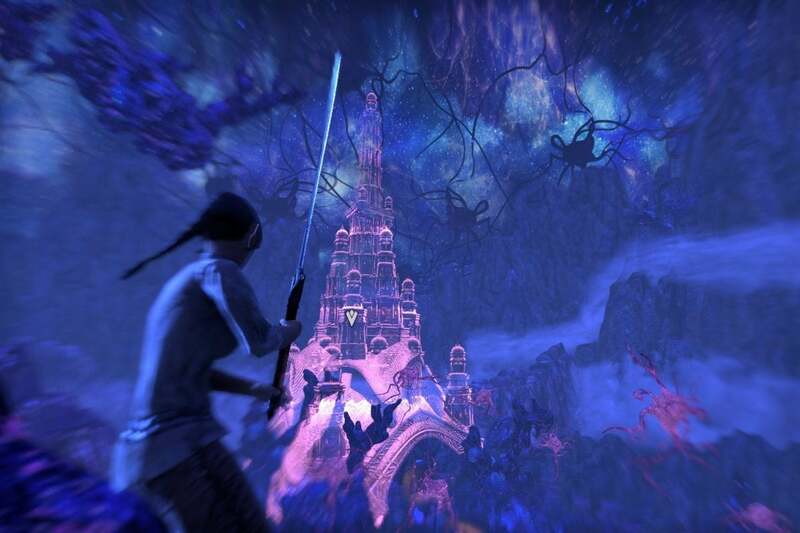 ESO’s focus on the mundane grants its quests greater significance than MMOs usually offer. In a more fate-driven main story, characters frequently overcome their differences for the greater good, but ESO’s drop-in-and-see-what-you-find design lets us see how the social dynamics of an island paradise built on the conviction of superiority would play out. The tutorial's pretty trippy, though. And indeed, if you’ve never played before, you can drop into this content straight away. ESO has designed yet another new-player tutorial centered on the Summerset chapter that tailors your starter levels to the content you’ll see, in this case breaking out of a mental prison where neurons hover like clouds. Frankly, it’s kind of dull at this point, especially when compared to the other-dimensional prison breakout of the 2014 story or the island-bound slave uprising we saw in Morrowind. I’m hoping it gets better. On the bright side, it’s a suitable introduction to the Psijic Order, a monastic mage community that takes up a bit chunk of the new story and even bestows a new skill line with nifty perks like the ability to “Undo” time to bring your stats to where they were a few seconds ago. In some ways, the core content hasn’t even changed all that much. New “abyssal geysers” randomly pop up in fixed spots, much like the dolmens in the vanilla release. You fight a few waves of bosses, and then you loot a chest (or a clam, in my case). They’re decently fun, but unless I’m missing something, they’re the same present in a new package. There’s also a new raid-like trial for 12-players called Cloudrest, as well as scattered delves (or mini dungeons suitable for a single player). There’s also simply a lot more to do, as the Summerset Isles are larger than Vvardenfell. For genuinely new features aside from the Psijic Order skill line, you can also now craft jewelry, even for many of the existing armor and weapon sets. But the stories are the true draw for Elder Scrolls Online for most of us. They make it easy to come back to ESO when you want to rather than ruining your social life to keep up with loot (although as endgame champion points go up, new players have an increasingly rougher time getting into endgame raid guilds). I cared about the characters I encountered, and I was particularly happy to see the fan-favorite operative Razum-dar play a substantial role here. ZeniMax continues to find ways to make its design interesting, as in the case of a delve that actually involves sailing to a faraway island and rescuing some folks rather than venturing into another cave or ruin. The delves are lovely, dark, and deep. That’s partly why it’d be overly dismissive to say Summerset is “more of the same.” After a bumpy first couple of years, Elder Scrolls Online has established itself as one of the MMORPGs to pay attention to, and it’s because it’s found a model that works. Rather than forcing you to see its new content at the end of years’ worth of patches and hours of cutscenes (which is especially annoying in Final Fantasy XIV), you can buy the expansion and drop into this world of elves and ruins immediately from level 1 rather than having to trudge through months’ worth of stuff you don’t care about it. As for me, a player from the beginning, I’m ready for another dose. One thing, though: ZeniMax, get that Mac performance better before launch. It’s currently not where it needs to be on my MacBook Pro.